For a month the government of India, aided by its media and propaganda units (urban-centric English language dailies and magazines, and a dangerously partisan group of television channels) has bombarded the Indian public with its view of Pakistan. This is a view that is full of threat and anger. There is in no communication of the government of India (not from the office of the prime minister of India, not from the cabinet, not from Parliament, not from its major ministries which share concerns, such as water and food, and not from its paid servants, a wastrel gaggle of self-important think-tanks) that says, in effect, yes we understand the troubles your peoples have, for we have the same, and let us find ways to aid one another. There is plenty of reason to do so. Let us look first at floods and natural disasters, which India has a great deal of experience in dealing with, both through those government agencies that possess an iota of integrity and through voluntary groups and NGOs. 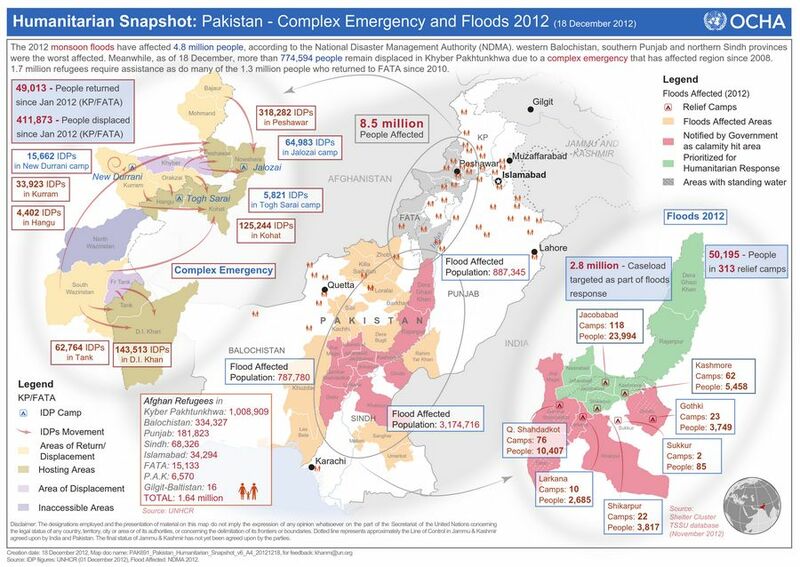 Hundreds of thousands of people displaced by September monsoon flooding in Pakistan have not yet moved back into their homes, according to aid groups. Three of Pakistan’s four provinces were hit, affecting over 4.8 million people and damaging over 630,000 houses, according to the latest situation report by the National Disaster Management Authority (NDMA). Next is the matter of population, economic support for a growing population and sustainable alternatives to the ‘growth is best’ nonsense that South Asian ruling cliques foster with the help of their industrialist compradors. Internal pressures in the country with the world’s sixth largest population are likely to get worse before they get better: At 2.03 percent Pakistan has the highest population growth rate in South Asia, and its total fertility rate, or the number of children born per woman, is also the highest in the region, at 3.5 percent. 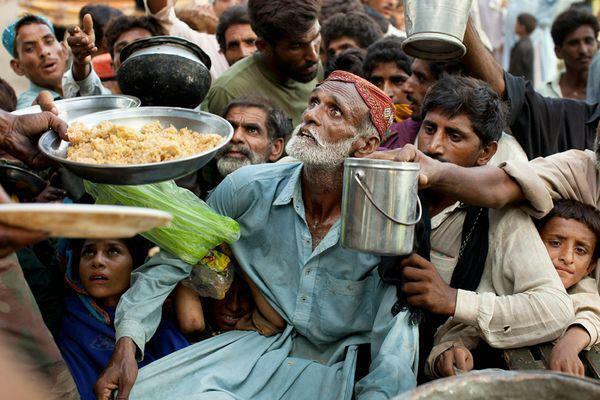 By 2030, the government projects that Pakistan’s population will exceed 242 million. “The failure to adequately manage demographic growth puts further pressure on the current population, who already lack widespread basic services and social development,” said the IRIN analysis. Pakistan’s health and education infrastructures are poorly funded, and experts have questioned the quality of what is being provided with existing budgets. With a weak economy and low growth, food insecurity and unemployment present further challenges. “The problem is that if you have a population that is illiterate and does not have proper training, a large segment cannot participate meaningfully in the economy,” IRIN quoted economist Shahid Kardar, a former governor of the State Bank of Pakistan, as having said. And then there is the very worrisome aspect of violence, against the poor and vulnerable as much as against women. I find it a macabre coincidence that during the weeks when polio workers in Pakistan were being shot at and killed, women in various parts of India were being gang-raped and murdered. Over the past few weeks there has been an upsurge in attacks on aid workers in Pakistan, many of them linked to a national polio eradication campaign in one of the world’s last three countries where the disease remains endemic. 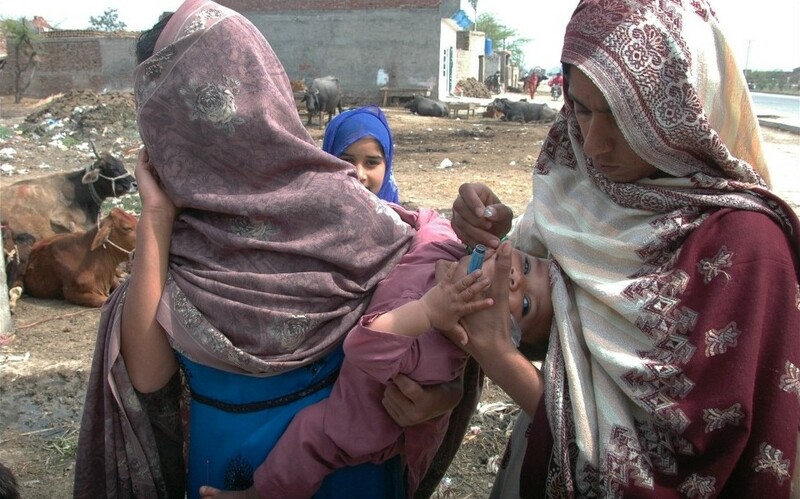 In December 2012 the UN Children’s Fund (UNICEF) and the World Health Organization (WHO) suspended their anti-polio vaccination campaign after nine workers were killed in attacks in Karachi and Khyber-Pakhtunkhwa. Polio workers, including those working for the UN, were also targeted earlier in 2012. Beyond the polio campaign, aid workers in general are starting to feel more hostility to their work. In an attack on 5 January, two aid workers with Al-Khidmat Foundation, an NGO working in education, were shot dead in the northwestern city of Charsadda. There was similarly no warning when gunmen killed seven aid workers with local NGO Support With Working Solution (SWWS) in the Swabi District of Pakistan’s Khyber-Pakhtunkhwa (KP) Province on 1 January. Lost altogether in this teeth-gnashing mêlée of trouble-making are the efforts made by Pakistani and Indian people, such as the India Pakistan Soldiers Initiative (IPSI) for peace when they met at the Pakistan Red Crescent Society offices in Pakistan. Peace between the peoples of Pakistan and India that has nothing to do with the red-eyed posturing over the Line of Control and over Jammu and Kashmir will be our own responsibility.